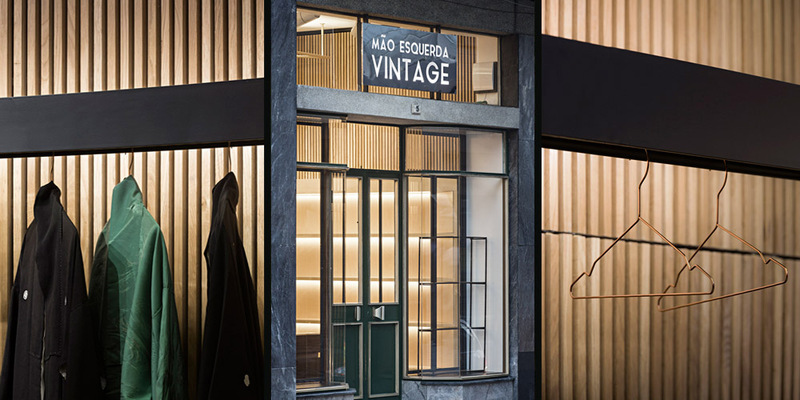 Mão esquerda vintage is the new store from a well-known Portuguese vintage brand which sources high-quality clothes from all over the world. 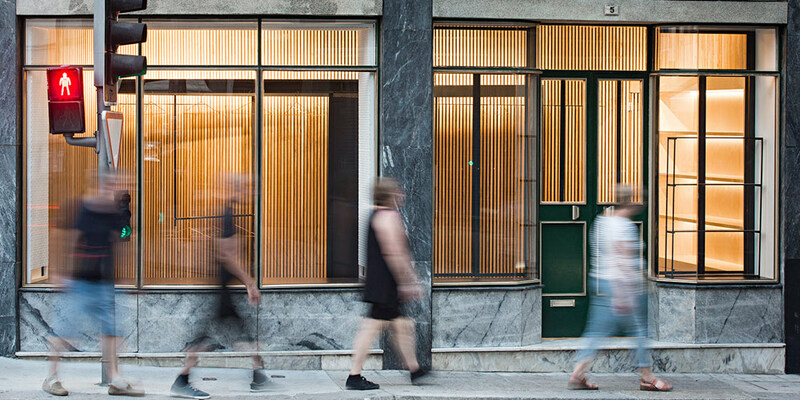 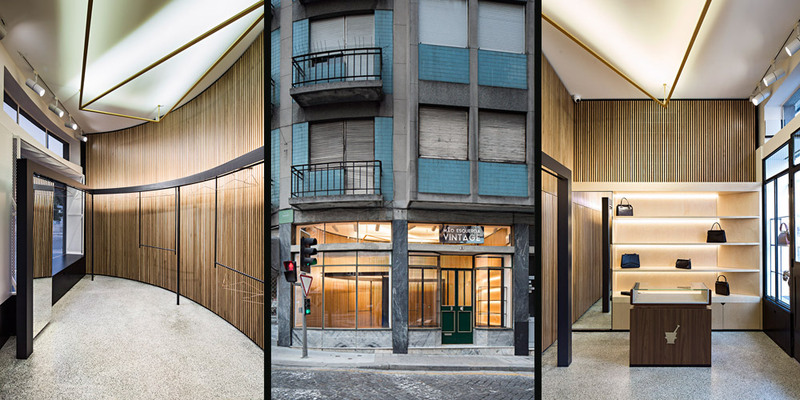 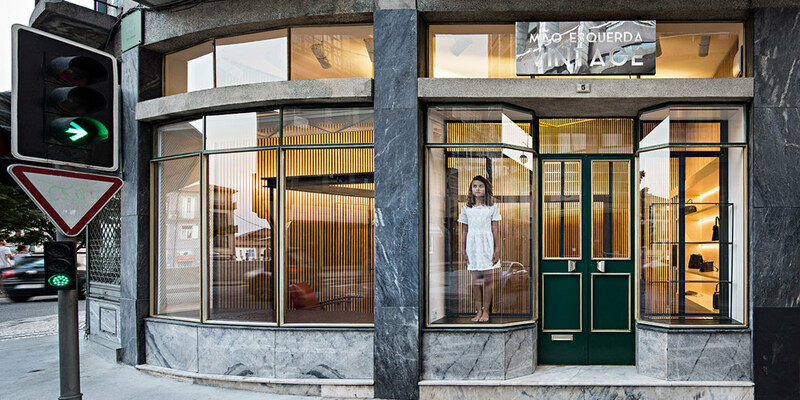 This new project occupies the intimate 19-square-metre ground floor of an historic old building located in the centre of Porto. 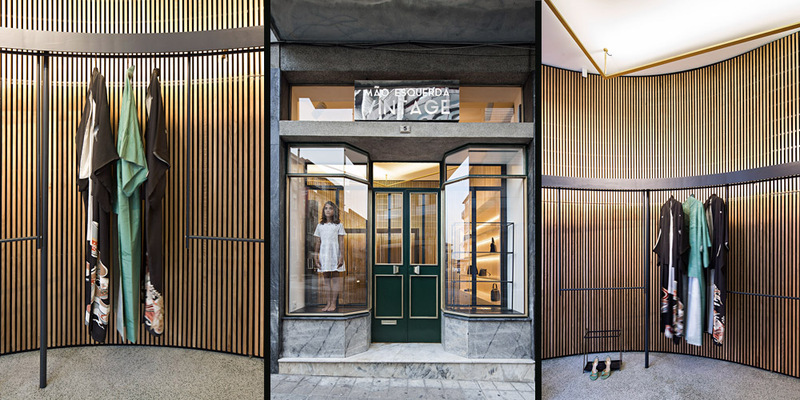 The space has been refurbished in a way that combines both the raw, traditional vibe of Porto city and a contemporary minimal aesthetic. 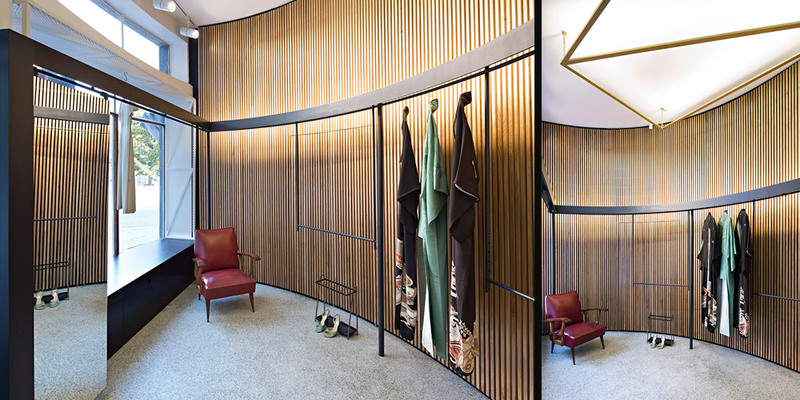 The main challenge with this project was learning how to work with the many irregularities of this small slender space, while maintaining a simple and clean approach, thus creating a backdrop that could showcase a large and heterogeneous vintage clothes collection. 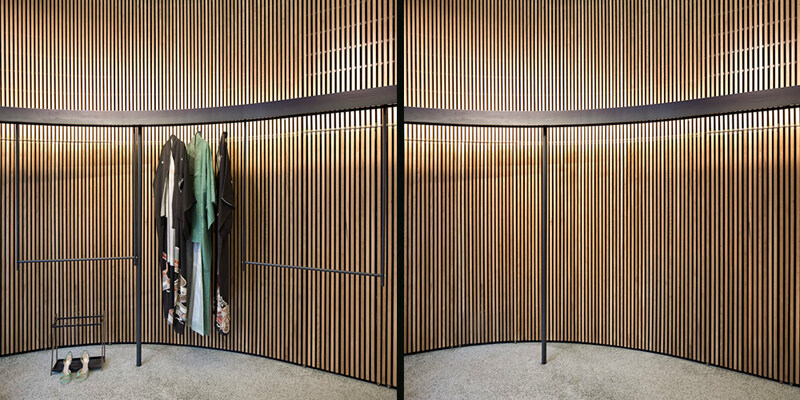 The resulting design has a visually strong aesthetic, focusing on two main curved elements. 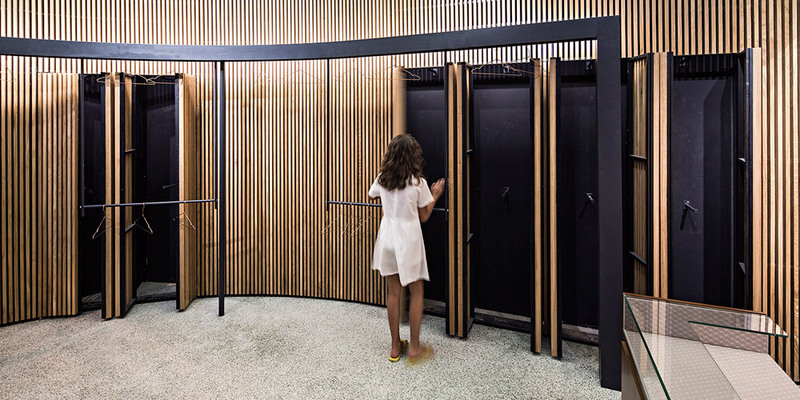 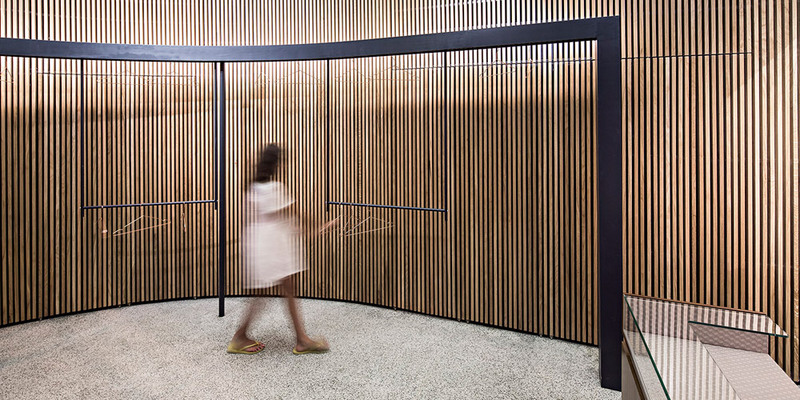 The first is a gridded floor-to-ceiling wall made of oak that serves as a partition and also allows for a storage area behind. 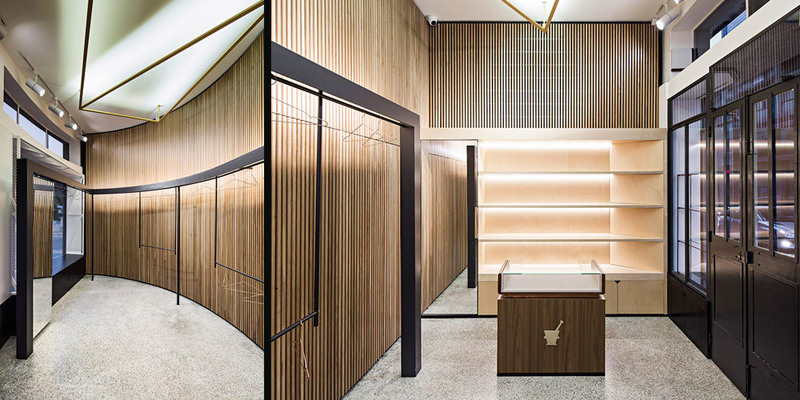 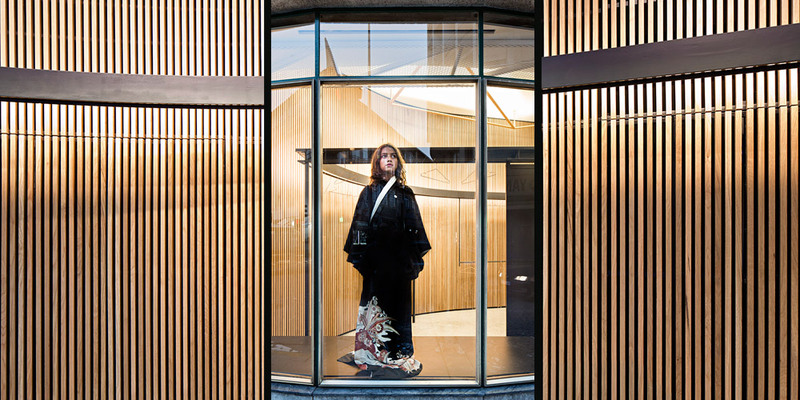 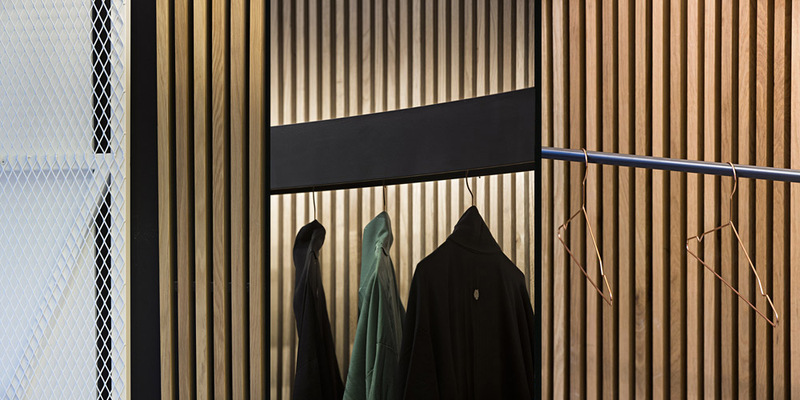 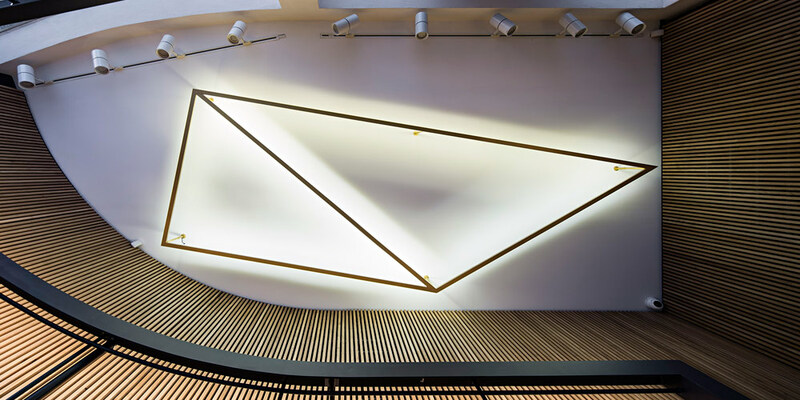 The second is a two-level iron hanging rail that allows the shop to change its configuration based on the items on display. 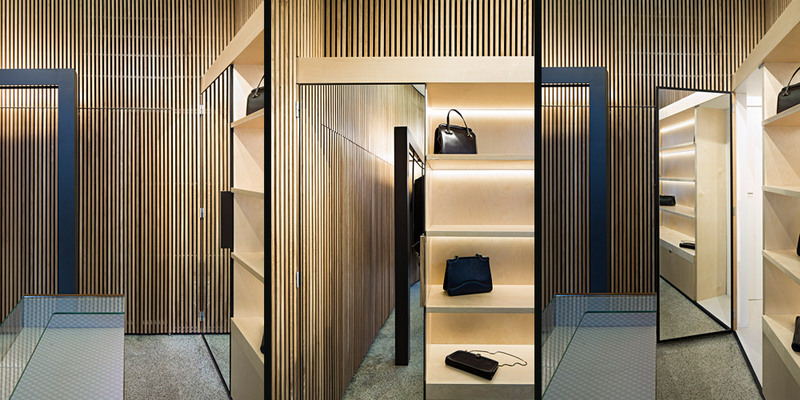 These are complemented by the existing marmorite flooring and a refurbished counter that belonged to an old chemist shop, which, along with the light and colour, all help to create a subtle theatrical atmosphere.